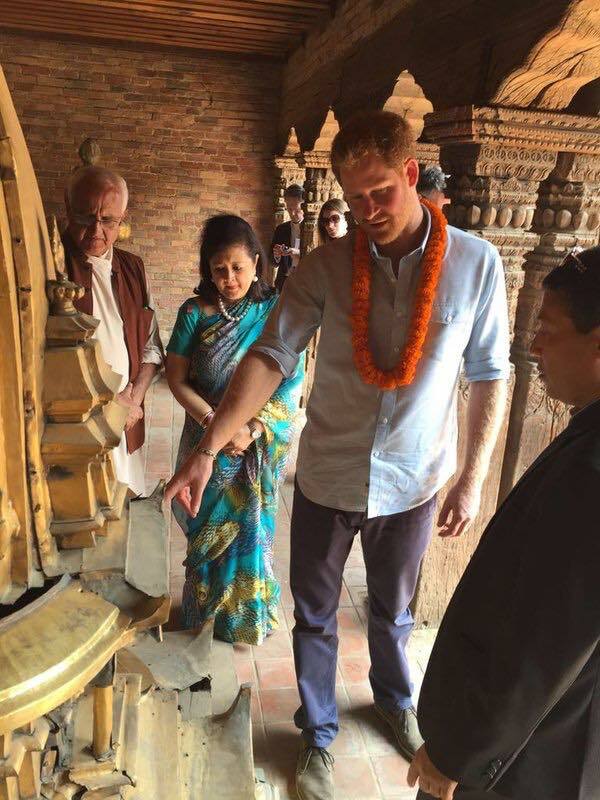 In March 2016, HRH Prince Harry conducted the first Royal visit to Nepal since his father, HRH The Prince of Wales, visited in 1998. During a very busy schedule, HRH firstly met with the Prime Minister of Nepal, KP Sharma Oli, and then proceeded to see many of the areas of Kathmandu that were badly hit by the massive earthquakes that struck Nepal in April 2015. 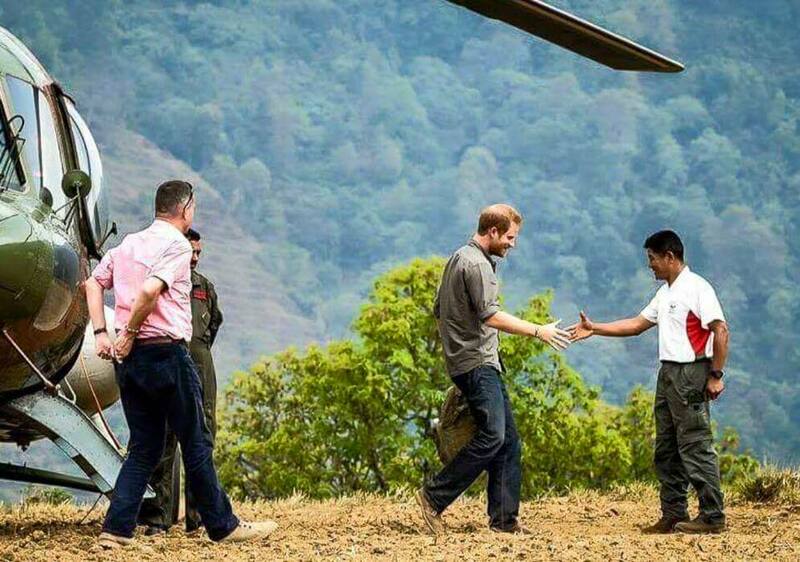 After trying his hand at ornate wood carving in Kathmandu and seeing the great conservation work done in Bardia National Park, Prince Harry then flew into the hills of Nepal, where he was met by Major Prakash Gurung MVO. When they met, smiles burst across both their faces, as they had previously met in Afghanistan in 2007 and whilst Maj Prakash was the Queen’s Gurkha Orderly Officer in recent years. Accompanied by Maj Prakash, Prince Harry then met with staff from the Gurkha Welfare Trust (GWT). 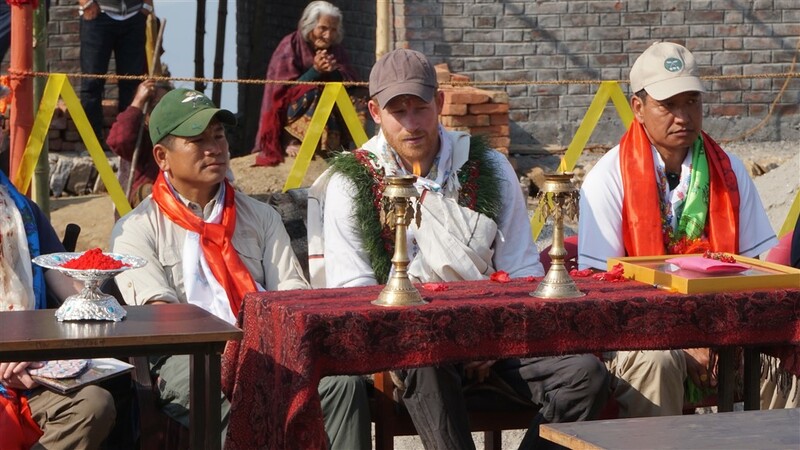 They trekked around Lamjung District where Prince Harry witnessed the work of the GWT’s mobile doctors and the GWT’s ongoing reconstruction of homes that had been destroyed by the earthquakes. Around 1,200 homes of former Gurkhas or their widows were destroyed by the earthquakes and the GWT hope to rebuild at least 80% by the end of 2016. In Gauda VDC, Prince Harry saw a school that is being rebuilt by GWT. 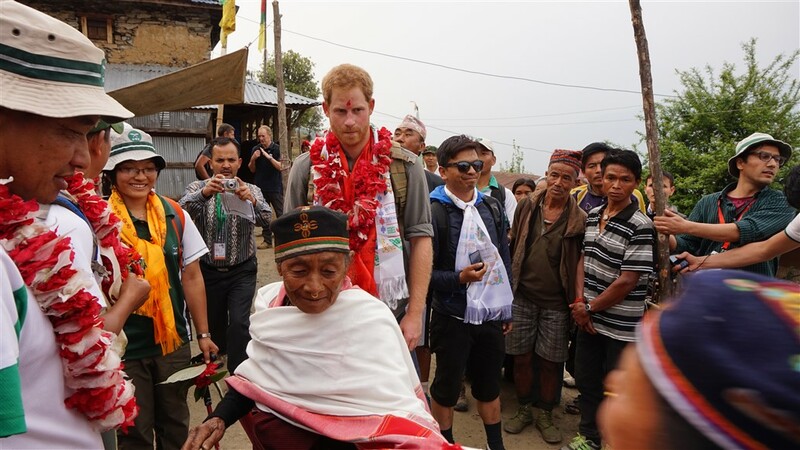 Prince Harry then stayed the night with Welfare Pensioner, Mrs Mangali, the widow of a Gurkha WW2 veteran, Rifleman Gandu Gurung, ex-2/5 Gurkha Rifles. 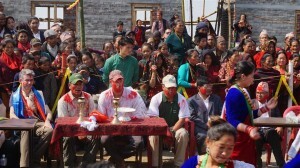 Prince Harry was also extremely fortunate to be in the hills during the festival of Holi and thoroughly enjoyed celebrating with the locals. 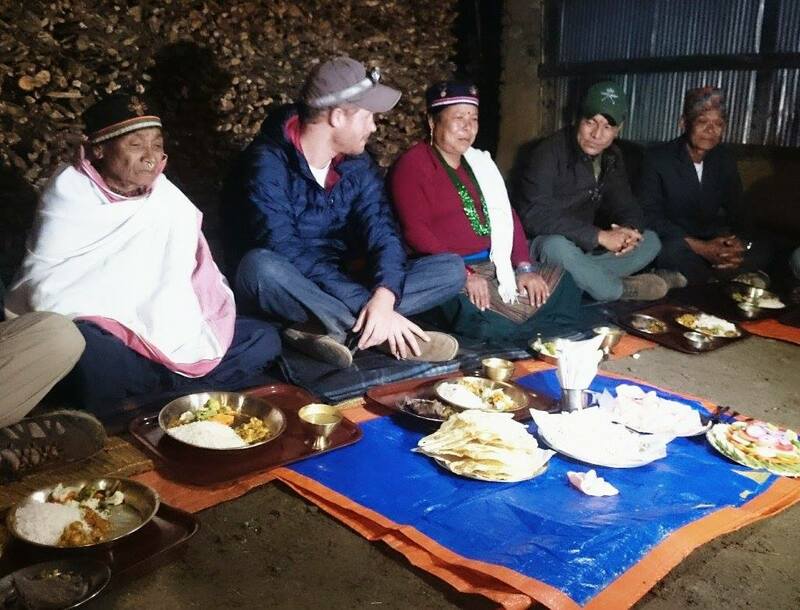 After his time in the hills, Prince Harry flew to British Gurkhas Pokhara (BGP). 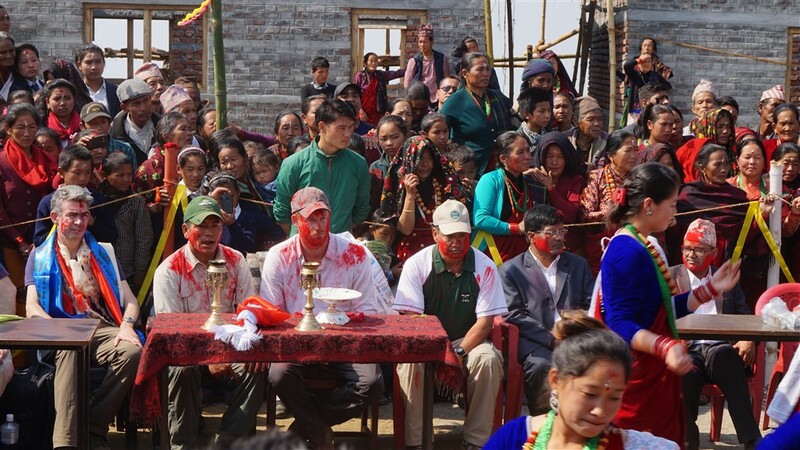 He was briefed about the infamous Gurkha Recruitment process, the huge numbers who apply and the gruelling tests the potential Gurkhas must undertake, including the legendary Doko Race. Prince Harry also met with many members of the British Gurkhas Nepal community, including Lt Col (Retd) John Cross OBE, who was the Deputy Recruiting Officer in Nepal when HRH The Prince of Wales visited BGP in 1980 – 36 years ago. 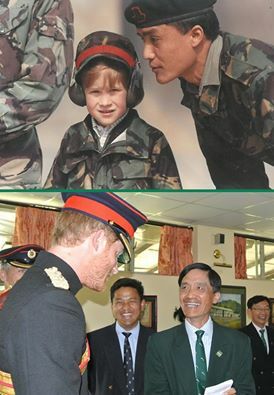 Prince Harry was reunited with Maj (Retd) Bishnu Pun who had last seen Prince Harry in 1991. This was a truly magical moment. Prince Harry met with family members of those Gurkhas who have sadly been killed in action during the recent operational tours of Afghanistan. This was clearly a more sombre and reflective moment. 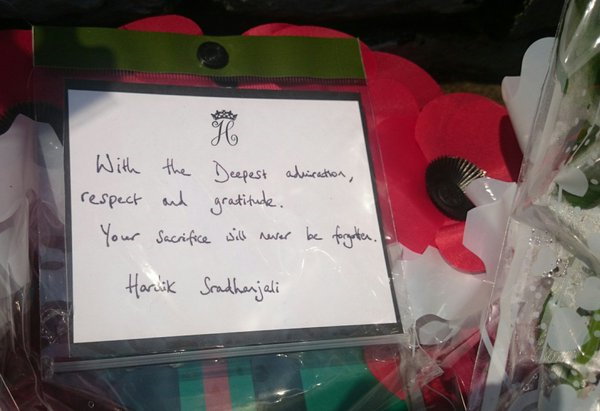 A 2-minute silence was observed across BGP before Prince Harry laid a wreath and left a note as an act of remembrance. 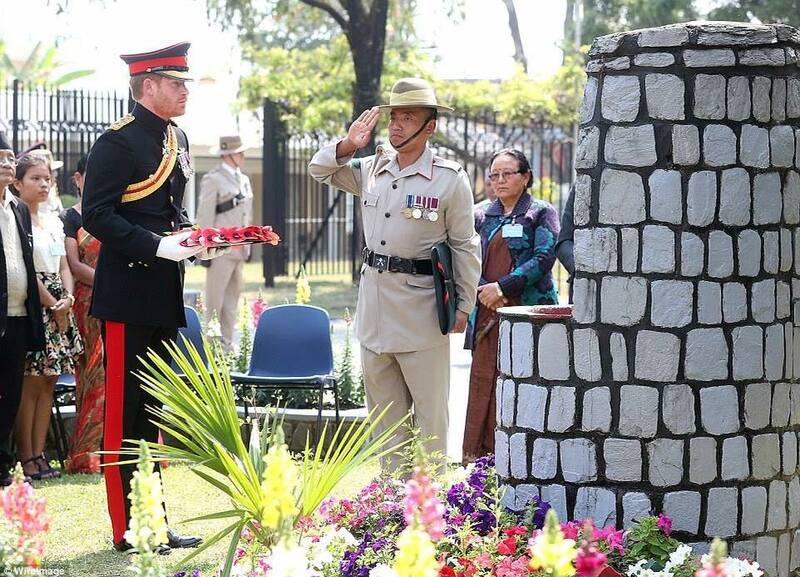 Immediately afterwards, Prince Harry also planted a tree close to the BGP memorial in memory of those Gurkhas who had fallen in Afghanistan. 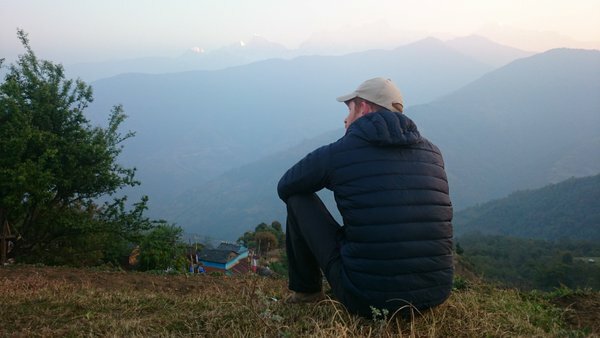 Prince Harry then departed back to Kathmandu, where he announced his intent to remain in Nepal for a further 6 days. 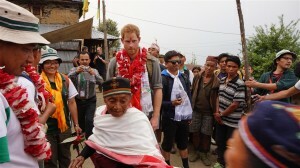 HRH Prince Harry’s visit was hugely successful and it is hopeful that given his admiration for the Gurkhas, and, moreover the beauty of Nepal and its people, a return in the future seems likely. 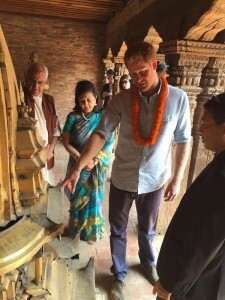 Below is a collection of photos and videos which have captured Prince Harry’s historical visit to Nepal.